Nasdaq Inside Trader Review - Confirmed Scam Software! Are you looking for unbiased Nasdaq Inside Trader review? Don’t worry, in this post I will share my honest opinion about this trading robot which will help you in taking right decision. We review every new entrant, be it auto-trading software or broker, which arrive at the Binary Options trading arena. Its holiday season and people from all over the world are rejoicing and travelling to places. This season is conspicuous due to some other thing as well. It’s the lull we’re seeing in Binary Options business. 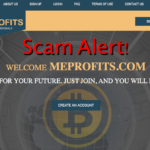 No new Binary Trading software is being launched these days. But, just a few days back one did come to our notice and it goes by the name Nasdaq Inside Trader Software. We had plenty of time so we left no stone unturned to review it for you. Read our review of it, and find out more. NASDAQ as we all know is the second largest stock exchange in the world. Alex Steele, whose voice we hear out in the presentation on the website, introduces this software and tells how he used to work there. Alex was not an ordinary trader, and was a Bond of sorts. A pay of over $6 Million plus bonuses could not hold him from quitting NASDAQ. He puts forth some really eye popping figures in the presentation. 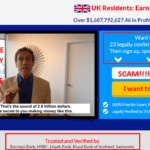 He claims to have created millionaires out of 34 people in the last 18 months. Also, over $1,80,000 can be made each month which translates to over $250 per hour. Mouth-watering isn’t it? Once you sign up and register for an account, money would just start pouring into your account within the first 30 minutes, if Alex is to be believed. In lesser than 5 minutes, ones account could be setup and be ready to use. All in return of your filling your details like email-id and name in a form, Alex is offering a $2,000 bonus too! Doesn’t it sound too good as if Santa just recorded the presentation himself? We’ll soon find out! Alex speaks of how he is earning way more than his NASDAQ days and how he plans to ‘help’ small individual traders like you. The slowdown in 2008, when the big traders he was allegedly working with turned ‘predatory’, he decided to quit his lucrative job. That’s when he says he started to work on the development of a trading program along with some of the best developers and Silicon Valley whiz kids. The Nasdaq Inside Trader, as Alex says, brings the best out of two worlds together. For one, it uses all the ‘inside’ knowledge and experience that Alex gained over the years working with successful traders. Secondly, making use of technology and working with the brightest programmers to develop a user-friendly software employing something like a super algorithm. The results were phenomenal as Alex unveils the stats. In over 2,000 trading sessions and hundreds of thousands of trades over almost a year, the software has not lost a Single trade. The software does everything on its own and is completely automated. It produces profits by utilizing all the trading methods Alex himself used for himself and his investors. Without further ado, we would quickly introduce what are our views on this ‘auto-trading software’. Unfortunately, we are not convinced with what we get to hear in the presentation and see on the website. Firstly, the profit which one could generate through this software is not consistently mentioned. The time since this software in already in use and open to public is also not clearly stated. As usually is the case, its not clear as to how many people have been using it. Somewhere its mentioned that over 5,000 beta-tester have generated $4,329,347 in the last 30 days. Elsewhere, the figure is 1,231 members? Moreover, in the presentation, we are told that by now 34 people have been given the ‘Free’ copies of the software and that another 40 are to be roped in. Don’t you feel, there is too much confusion here? Who are members and how are they different than beta-testers? What was different with those 34 people and what would be your role if you happen to win the coveted free copy out of the available 40! The profits that can be generated through this program are simply unrealistic. To put it across more gently – the statistics are just BS. It certainly feels better to vent out frustration saying those words! Anyone with the nuttiest of brains can see through the lies the presentation dishes out shamelessly. A trading App that has not lost a single trade for months- it simply is a false statement. Haven’t we seen such bold claims in so many other scam software? 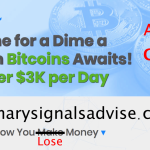 A Binary trading software can never be loss-proof. One is bound to lose trades too, if someone says he is bound to win trades. Its as simple as that. In a speculative industry as Binary Options Trading, only God himself can claim such bizarre outcomes. This Inside trader is all black and blank on the inside. A hollow website, seems to have been roughly created overnight. There is no detail of brokers or trading assets allowed. How can a genuine software product afford to leave out such important details to ones imagination! The narrator Alex Steele, is nowhere to be found on the internet either. In every likelihood, Alex Steele does not even exist. The testimonials are fake as the images used can easily be seen on other websites. A reverse image search on Google, proves the testimonials are 100% fake. We did a search on the domain age on whois.net and found some interesting information. The domain was registered on 29 Jan 2016 and is all set to expire on 29 Jan 2017. The domain was last updated only on Christmas. Most probably the scammers just purchased the domain in Jan hoping to fire their scam on Christmas. So mark our words, in about a month from now, you won’t find a trace of this website. They won’t renew the domain lease, as by that that time, they would have made a healthy ROI. Its holiday season, and the wave of celebrations and feel-good factors, is bound to get many entrapped in the scammers traps. The minimum $250 you’d be asked to deposit to kick-start trading will all go down as a loss to remember. Who said its all for Free, when you are spending $250 on it. Yes, you won’t earn a ‘dime’ from it over your spending. 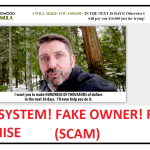 Verdict – Nasdaq Inside Trader is Confirmed Scam! The nagging pop-up that annoys you endlessly when you are on their webpage screams of the scammers desperation to lay hands your details. Once they get it, there’s just no saying up to what extent they’ll spam you. Its too early to bring to you real feedback on this software. Its just been a few days since its launch and it will certainly take some more time before hapless people will start to post against it. But, our research and experience says it all. The Nasdaq Inside Trader software has been built to scam you and loot you of your celebratory fervor. A simple rule of thumb is- no one can become a millionaire just like that. No one would share a secret method with the general public even if it exists. And trust me, there is no magic wand to make a millionaire out of a trader like you and me. Just do not fall for it and do alert your near and dear ones too lest they should earn some bitter memories out of this season. Definitely it becomes more and more difficult to believe who is who. 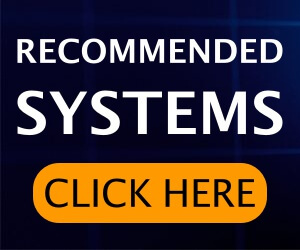 As you are expert in all of this trading system I would like to ask if you can recommend any trustful software which I can use in U.K. ,and obviously a software which can make a bit of extra income every week? I’m not looking to become a millionaire but a few extra hundred pounds a week would be helpful. I invested in a few brokers and softwares already but all of them failed and I loosed a several thousands. I am a guy who has let’s say had a hard , sad , happy, rich , and poor sort of life toboot. You don’t need too hear this so I will make it short . I started my adult life on the streets when I was 14 and have had a good work effec ever since. I have no family and even the last 15 years have been self employed. From 14 onwards I have gone out of my way to be a giver too people and not a taker. I have always come of worse for ware . This last 2 years I have had all and totally bad luck of all sorts . I am nearly pushed to my total limits at this point in time . 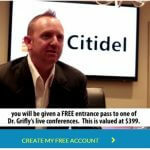 One or two last options I had was binary options and if people say don’t do it I usually do and often it pays off . But by reading your artical and the way you have explained it I am takeing your advice and I’m sure it’s saveing me from rake & ruins . Thank you Sofy friends that are genuine are little but I am counting you as one . Well done too your work in stoping small nobody people like me from geting that last nail .